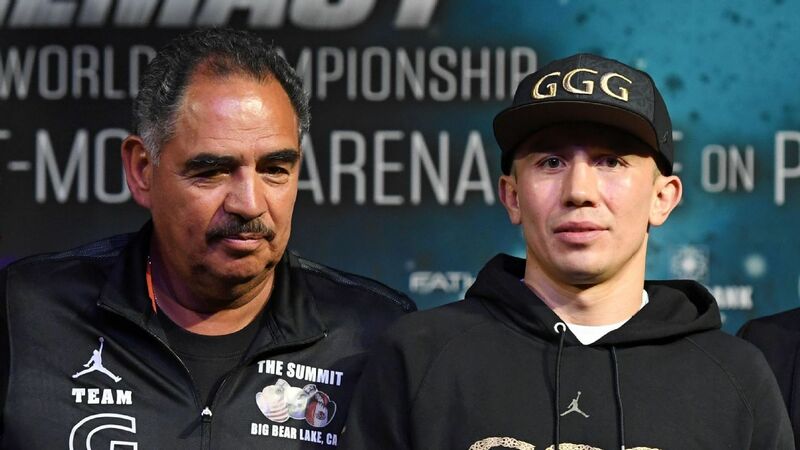 Gennady Golovkin announced Wednesday that he has parted ways with longtime trainer Abel Sanchez, who was an integral part of his success since they got together for Golovkin's first world title bout in 2010. Teofimo Lopez and Shakur Stevenson moved up, continuing their transition from prospects to contenders. What other changes have been made in ESPN's boxing divisional rankings? Dan Rafael reveals his new world standings and what's next for the fighters. Stephen A. Smith picks Errol Spence Jr. over Terence Crawford for the potential huge boxing matchup. After junior lightweight world titlist Gervonta Davis knocked out late replacement Hugo Ruiz – who had stepped in for injured Abner Mares – in the first round on Feb. 9 in Carson, California, promoter Leonard Ellerbe of Mayweather Promotions said Davis would have a Baltimore homecoming defense in his next fight this summer. That is precisely the plan. Davis will headline a Showtime card on July 27 at the 14,000-seat Royal Farms Arena in Baltimore, a source with knowledge of the plans told ESPN on Tuesday. There is no set opponent yet but there has been chatter about Davis’ second defense coming against former titlist Yuriorkis Gamboa, who has won three fights in a row. The short list to land a shot at unified heavyweight titlist Anthony Joshua on June 1 at New York's Madison Square Garden has a new name: Mexican contender Andy Ruiz Jr., Matchroom Boxing promoter Eddie Hearn told ESPN on Monday. Ruiz (32-1, 21 KOs), 29, of Imperial, California, entered the picture after scoring a fifth-round knockout of Alexander Dimitrenko on Saturday night in Carson, California, after which he said he was interested in fighting Joshua. The win was Ruiz’s third in a row since losing a majority decision to Joseph Parker for a vacant world title in December 2016. Parker was later outpointed by Joshua in a unification fight. Hearn said other potential opponents are Luis Ortiz, Michael Hunter and secondary titlist Manuel Charr with interim titlist Trevor Bryan and European champion Agit Kabayel further down the list. Joshua needs a new foe because Jarrell “Big Baby” Miller failed multiple drug tests last week. Crawford to Khan: You didn't quit? The WBO welterweight champion is paying it forward in his hometown. Terence Crawford was raised a fighter and found his way mostly due to his time in a ring, but it's his time as a father that has created a unique balance that challenges him each and every day. ESPN boxing analysts and former two-division world titleholder Timothy Bradley Jr. wants to see a welterweight unification matchup between Terence Crawford and Errol Spence Jr. now! No excuses. Claressa Shields dominated Christina Hammer in a one-sided unanimous decision to claim the undisputed women's middleweight world championship Saturday in Atlantic City. Want to know what fights are on the horizon? Check out the boxing schedule for 2018.
Who is the world's best fighter regardless of weight class? Check out ESPN's latest top 10. Check out boxing senior writer Dan Rafael's rankings within each division. All boxing champions and titleholders for the four major organization. The junior middleweight battle between Jarrett Hurd and Erislandy Lara was a memorable world title unification battle and the fight of the year. Remembering Muhammad Ali, one the greatest athletes to ever live.